New Holland has announced the winners of its 2018 Dealer of The Year Awards, which celebrate excellence in performance and service quality across its extensive UK and Ireland dealer network. The 2018 awards include new product-line categories that reflect the further expansion in product line up, with the successful introduction of the new T5 and T6 DCT Tractors and New Holland Agriculture-branded grass and cultivation equipment. 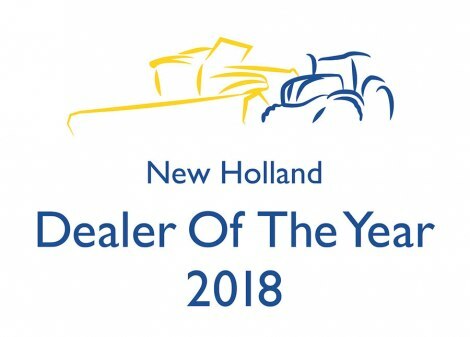 The 2018 winners represent the best of New Holland’s 53 dealers, which cover 125 locations across the UK and Ireland. The awards were presented by New Holland Agriculture’s Vice President for EMEA Sales and Marketing, Alessandro Maritano, at the manufacturer’s recent Dealer Conference gala evening on 23rd January.